Each month, we host an internal #allhands meeting to announce some of our most impactful enhancements over the past four weeks. While we’re really good at making sure our employees know what’s going on with the DealerFire products, we haven’t been so good at making sure our customers are informed. 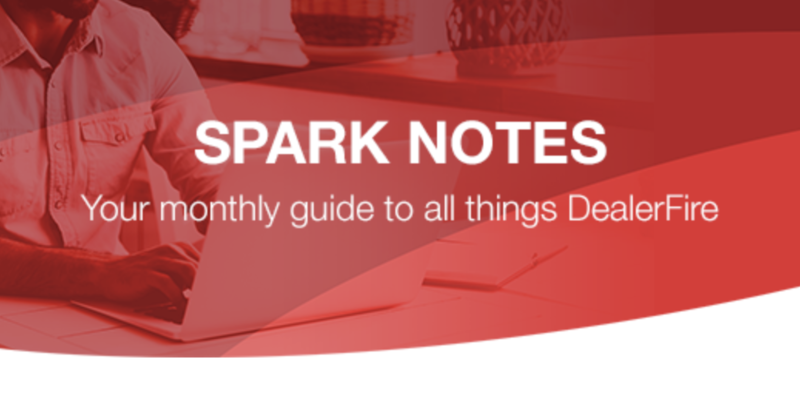 This is why we’re starting Spark Notes – a monthly email newsletter that dives deep into our product enhancements from the previous month. As well as a brief snapshot into the upcoming initiatives that we’re really excited about. Does the initialism GMB mean anything to your dealership? If not, you’re going to want to investigate. GMB refers to Google My Business, the information listing that is offered up by Google from information you provide about your business. If you aren’t interacting with it weekly – or worse, haven’t even claimed it – you’re going to want to make that happen quickly.